One of the biggest steps we take in spiritual maturity to place our needs, desires, and wants in a secondary position behind Jesus. And this secondary placement of ourselves under Jesus is a response to the saving love of God we ourselves experience. I’ve mentioned to you before that I am a student of history. One the things I enjoy doing is researching the history of each appointment the bishop has sent me to. Before I came to you last summer I did some research on Christ United Methodist Church. I’ve always known that you folks have had some rich and important history, but I wanted to discover the details, so that I could begin to know you. Now, as our first year of ministry ends and our second year begins, I thought it would be helpful to remember we’re we’ve come from and then grasp where we are going into the future. Some of you obviously know the history well. You’ve been here since the beginning (or very close to it). But there are others of you who are new to Christ Church. So it’s important for us to go back so that we can prepare for the future. A year later in October 1952, Christ Methodist church was celebrating her first anniversary. Ed Donner wrote this about the culture of Christ Church – “Possibly the text ‘Go Ye into All the World,’ best describes Christ Methodist Church. The story of Christ Church can be traced back to the Erie Council of Churches and there study that revealed several growing suburban areas which needed new churches. Southwest Erie, west of Pittsburgh was one such area.” So the mission of Christ Church was begun to reach new people in a new place. As Ed testifies in his letters, growth was happening all the time. They kept running out of space, using every nook and cranny that they could. And the growth kept happening. New people (some of you) were being reached with the message and love of Jesus. The culture was all about sharing the hope of Jesus. As the times changed, Christ Church was willing to adapt, with Scripture at the center, to reach people for Jesus. And while the last several years have seen its challenges: shrinking attendance, shrinking ministry budget, changing community and personal preferences, the original vision of Christ Church must rise to the top. This mission of Christ Church was begun because people were compelled by the need to start a new church that would reach new people. I’d like us to think about how we can rise above our current church culture to re-imagine the vision that brought Christ Church to life. Are we still compelled by the vision of reaching new people with the hope and life of Jesus; the vision which has been here since the beginning of Christ Church? This whole idea of being compelled is not new to us. This second letter to the Church at Corinth was an invitation to these first century disciples to grasp why Paul did everything he could to share the hope and life of Jesus. And Paul’s words offer an invitation to the Corinthians to be motivated and compelled by the same things. What is driving Paul? It is this passionate and unchanging belief that Jesus has changed his life and that everyone else needs to know this Jesus. Do you remember Paul’s back story? He was a very educated, religious man who came from a great family. He spent the early part of his life doing what his religion told him was the right thing to do – destroy this new Jesus movement. So Paul intentionally spent his time looking for Christians to persecute and churches to destroy. And he did that until Jesus showed up in Paul’s life and changed everything. From that moment Paul experienced the love and grace of God in Jesus. And from that moment Paul did all the he could to help other people know Jesus. Jesus was Paul’s passion. Jesus was Paul’s calling. Because Jesus changed Paul, Paul was compelled to live the rest of his life as a response to the grace and love of Jesus. Paul uses the language of being “compelled.” This is a strong word. It is better used as “control.” For Christ’s love controls us. It literally means to draw a boundary around us. That is, as we live in the love of God in Christ, bounded by it, living in it, as it surrounds us, we find no need to live for our self. The Love of God in Christ, keeps us, as it were, from seeking to serve self. The love of Jesus completely controls Paul so that he has no option but to introduce people to Jesus. How does this fit into our lives. Does Jesus control us? Does the love of Christ compel us? Truth be told, I think we might confess that not always. So for Paul, being compelled by love is a response to the love of Jesus. This is where it all starts. Jesus has saved me and changed my life, so I want to live for Jesus. I want to be compelled to help someone else know Jesus. And this changes everything. In verse 16, Paul wrote: So from now on we regard no one from a worldly point of view. When we think about other people we should no longer look at their worldly status, such as appearance, status in life, fame, wealth, etc. We should look at them no longer in a physical way but a spiritual way. Being compelled by love requires us to see people as God sees them. This world view aligns us with Christ. Christ does not see us as the world see us. He sees our heart. This should be the world view for Christians, since we are now a “new creation” in Christ. We become a new creation when we become a Christian. We are indwelt with the Holy Spirit who changes us and conforms us to Christ over time. When we become a Christian, we are reconciled to God. Until then, we are separated from God; we are still condemned for our sin. But when we are reconciled to Him, our sins are not counted against us. The Holy Spirit then makes us a new creation. He no longer wants us to see the world as others do. He wants us to change. He wants us to see the world as God does. He changes our priorities. He changes what we want to do. All of this means we are now Christians, Christ followers. We are now thinking like Him. We are now seeing others as He does. Our world view has now aligned with His. And we get to the place where we can say with Peter, that does not want anyone to perish but for everyone to come to repentance. So, in light of being compelled by love and seeing people as God sees them, Paul gets to the heart of life. All this is from God who reconciled us to himself through Christ and gave us the ministry of reconciliation…we are therefore Christ’s ambassadors as though God were making his appeal through us. Paul understands that when God’s love changes me and you we are intrinsically motivated to see people as God sees them and then live in a way that we are engaged as ministers of reconciliation. In other words, the priority as disciples moves to the place where we do all that we can to connect people back to God. This is tricky. Remember it’s not natural to be compelled by the love of Christ. We’re often compelled by things that make us feel good or safe or comfortable. And then we get frustrated when that sort of life is interrupted in order to help another person connect to God. Do you remember the story of the Prodigal Son? Father and two sons. The older son was compliant. He stayed home. He played by the rules. He was comfortable. The last thing he figured on was that someone would come home and interrupt his status quo. But the younger brother did come home and dad threw a great big party. And frankly, the older son was ticked off. Why should I suffer and lose my comfort and attention because of him? And the older son got angry and resentful and refused to participate. I can imagine him sitting out on a rock sulking with the lights and party of house going on behind him. And I can imagine it because I would probably be acting like that myself. I don’t like it when what I want is interrupted. But dad comes out and look at the love and compassion dad has for both kids –But we had to celebrate and be glad because this brother of yours was dead and is alive again, he was lost and now is found. So come and celebrate. Quit feeling sorry for yourself. There’s room for everyone. As ministers of reconciliation you and I get to introduce people to God. We get to help people who are far from God enter into a relationship with him. Is there sacrifice? Sure. Will we need to do some things differently? Sure. Will we be a little uncomfortable? Maybe. Will we be stretched out of our comfort zone? I hope so. But God has put you and me and Christ Church in a unique position to engage as ministers of reconciliation – bringing men and women and children back to God. John Wesley founded this Methodist movement in the mid 1700’s in England. Wesley’s life was changed by a direct encounter with the Holy Spirit. This encounter compelled Wesley to live his life to bring people into a relationship with Jesus and live into holiness of heart and life. In America the Revolutionary War had come to an end and Methodism was beginning to transform the landscape. But due to the conflict with Great Britain, the Methodist Church in America needed to cut its ties with British Methodism. So Wesley ordained Thomas Coke as a Bishop and sent him to America to ordain Francis Asbury as a bishop and begin a uniquely American form of Methodism. As Coke was being sent off to America by Wesley, Coke confessed to being slightly afraid and not really knowing what to do or how to go about this new business of forming Methodism in America. Wesley leans over at Coke and offers a phrase of encouragement – Offer them Christ. Those words are all that matters even into the 21st century. John Wesley stills leans over and whispers in the ear of every one of us when we are scared; when our comfort zones are challenged; when we don’t know the next step and he says, offer them Christ. It’s all about Jesus. And it is the love of Jesus in our hearts and lives that compel you and me to do anything we can to introduce people to Jesus in positive ways. This is intentional and proactive. It is risk-taking. It is upsetting. What are you and I willing to sacrifice to introduce people to Jesus in positive ways? What kind of church will Christ church be for the next 64 years? Will we be one that is compelled to do anything and everything to introduce people to Jesus? As someone who has started a church, I would have loved to have been there with Ed Donner and that group of risk-takers and revolutionaries who dreamt of creating a place to introduce people to Jesus. But now, we’re the second and third generation of disciples to whom the baton has been handed. We can do the very things that first group of 60 people did but in a different culture and context. In his letter in 1952, Ed had written that the culture of Christ Church was found in her desire to go and make disciples. The context is different in 2015 but the need is still there. Let’s prioritize above everything else the purpose of introducing people to Jesus in positive ways and creating disciples. Let Christ’s love compel us to nothing less. Our church has an important mission. There are people within the reach of our church who are hungry for the love of God that we were given to share. Our church’s mission should be the most important thing going on in our community today. That being the case, doesn’t it make sense that we should organize the whole life of our church around the accomplishment of that mission? And, doesn’t it make sense that we should be careful not to let anything go on in our church that would hinder the accomplishment of that mission? Can you think of any thing that could go on in our church that would contradict the mission and vision? Paul wrote his letters to the Corinthians because he had heard that some things were going on in that church that contradicted the gospel and that were hindering the mission of that church. Paul stated the problem. He had heard that there are divisions in the church and that the people are quarreling with one another rather than being united in the same mind and purpose. As the church was meeting in different houses in the city some chose to give their allegiance to one or another of the leaders of the church with whom they were familiar. Some were still dedicated to Paul. Others were attracted to another leader who had come after Paul, a young man named Apollos. Still others had been in contact with Cephas, Peter, the one who had been the leader of the followers of Jesus. And there seemed to have been some who took a superior attitude and said, “We belong to Christ,” just to get above the other divisions. Eventually it became apparent that none of these was really what was dividing the church. Differences don’t have to cause divisions. Differences of opinion can be lived with in a community of loving people who are committed to one common purpose. Paul suspected that something else was going on in Corinth. What was actually going on in Corinth? Corinth was a major center of business. And it was a new city with new money. Some people had become very rich and some people were very poor and there many in between. And, it was a place where people could change their status. People could climb the ladder. There was competition for status and honor. There was lots of “networking” to form advantageous relationships. That was what was really going on in many of the conflicts that were dividing the church in Corinth. What is so interesting about this chapter is how Paul approaches the particular divisions that they were facing here. He urgently but gently appeals to them agree with one another and be united in mind and thought. How does Paul propose that unity will happen? He appeals to them based on the foundation of Jesus because it is in Jesus and the cross that the power of God is found. Paul’s appeal through Jesus is that they all agree and that there be no divisions among them, but that they be united in the same mind and the same purpose. 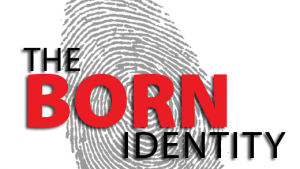 What a strong word about our identity in Christ. Jesus’ followers must be united in mind and purpose. That kind of unity allows us to move in the same direction at the same time. But consider what happens when God’s people become so distracted and consumed with personal opinions – In 1917 the bishops of the Russian Orthodox church were having a meeting. And the meeting came to a heated debate with fusing and feuding. Now, a few doors down the street another meeting was happening. The Bolsheviks were together plotting against the czar of Russia. It was revolution – the beginning of Communism. What was the church arguing about down the street while the empire was crumbling around them? Candles. Were they to be 18” or 22” long? Part of his solution is to agree with one another and not have divisions about purpose. How? When he calls us to agree, it’s literally in Greek, “to say the same thing.” Obviously if everyone is saying and doing different and contradictory things, that is a sign of disunity, not agreement. Purposeful unity is literally “to think the same thing according to Christ Jesus.” – Unity of voice and mind – going in the same direction together. Paul isn’t picturing a bland uniformity where no one has individual ideas or expression. But rather he is talking about a consensus. That they stand together on the truth of God’s Word, and move in same direction. In reality unity is togetherness of hearts that are personally committed to Christ all moving toward the same mission/vision. Jonathan Edwards: The obligation of every generation is to understand what God is doing and then to do it together with Him!